We offer some of the best choices of fruits from the season in this deluxe Seasonal Pick fruit basket. 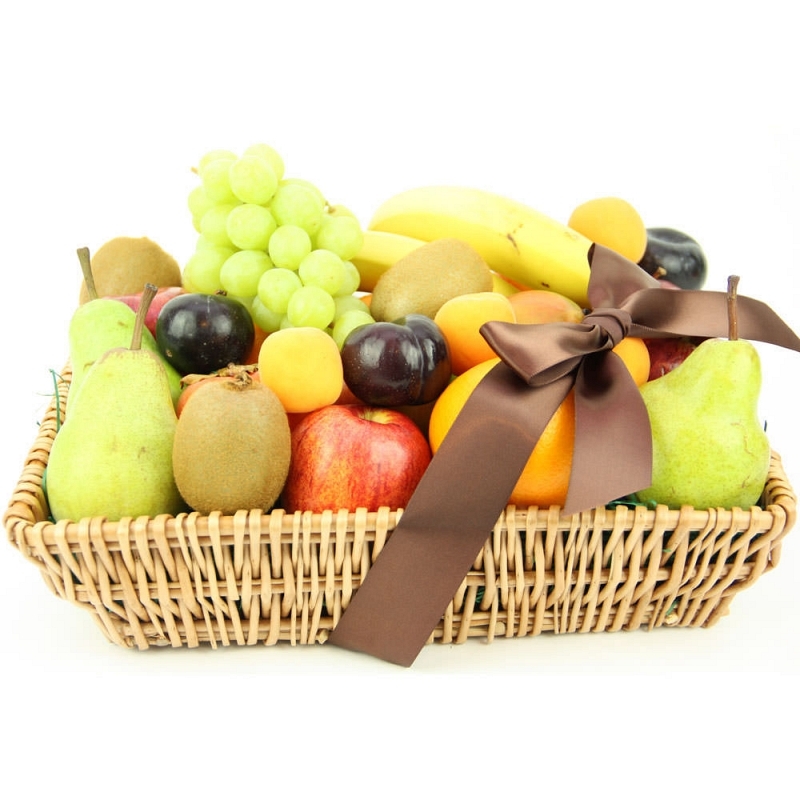 This fruit basket has some fresh and juicy collection of fruits well assorted in a cane basket wrapped by a silky ribbon. This exclusive fruit basket delivered by post can be selected for all types of occasions like a Birthday, Anniversary, Congratulations, Get Well Soon, or Christmas. Send this special collection of fruits basket by post in UK with your personal message card attached.